A selection of messages of condolence received since the death of Bishop Javier Echevarría on December 12, with a 20-minute video summary of the Mass celebrated for the repose of his soul on December 15 in Rome. Since December 12th, thousands of messages of condolence have been received via this website and at the central offices of Opus Dei, for the death of Bishop Javier Echevarría. Below, in alphabetical order, is a small selection of these expressions of gratitude, prayer, and closeness. 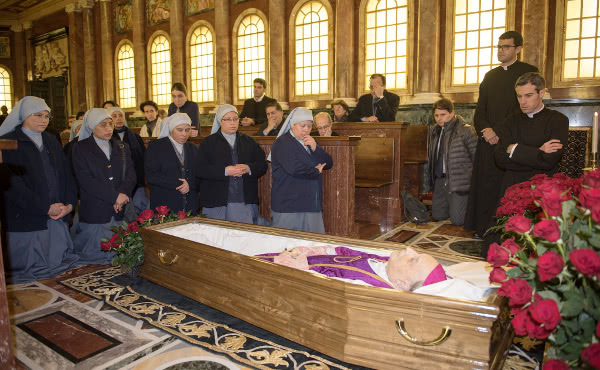 We also include a video summary of the Mass celebrated for the repose of his soul on December 15th in Rome. 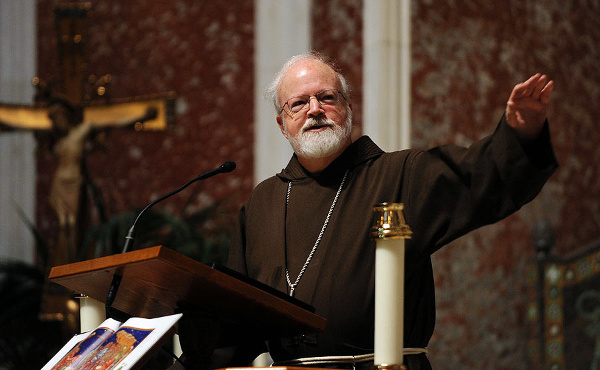 Upon hearing the news and recalling his generous episcopal service and cooperation with this dicastery as a consultant and member, on behalf of the officials of the congregation, we invoke the Lord Jesus to welcome his faithful servant into the peace of his celestial kingdom, in communion with the saints and blessed. As bishops, we have known Bishop Echevarría as a great Shepherd and a loyal Servant of the Church. We cherish his faith, fidelity, commitment and his great contribution to the holiness of the Church in the entire world. The Prelate will join Carmen, co-initiator of the Neocatechumenal Way, in heaven, and from there he will intercede for the Work throughout the world, so that it may be faithful to the charism received from God for the benefit of the whole Church and for his greater glory. I pray that the great and contagious hunger for holiness that characterized his whole life, through the sanctification of the daily work that constituted his continuous liturgy of the hours, would now be satiated in the presence of God whose good servant he was, of Mary, the Woman he loved more than any other, of Saint Josemaría, Blessed Alvaro and the many men and women, young and old, who have been helped to live out the universal call to holiness through the charism given to Saint Josemaría, his successors and his spiritual sons and daughters. To your Holy Dwelling Place! With heartfelt thanks to God for the gift of the Prelate to the universal Church. Together with the General Secretariat of the Synod of Bishops, we express our condolences for the death of the Prelate, assuring our prayers for his soul and for the consolation of the members of the personal Prelature. We remember his active participation in the synod assemblies. Bishop Echevarría greatly assisted our Church, helping us in the formation of our seminarians, now priests, and was always happy to meet and talk with us. I would like to express my deep regret at the death of the bishop prelate of Opus Dei, who has been so linked to this community with his visits as chancellor of the University of Navarra. May he rest in peace. I accompany you with friendship and prayer in suffrage for the venerable Prelate. I will always remember, with gratitude, his example of dedication to the Lord and of love and fidelity to the Church. I express my condolences and those of the bishops who are members of the Spanish Episcopal Conference, which I extend to all the members of the Prelature. We offer the Lord our prayers for the eternal rest of His Eminence Bishop Echevarría. God will reward his great efforts and labors for the Church. 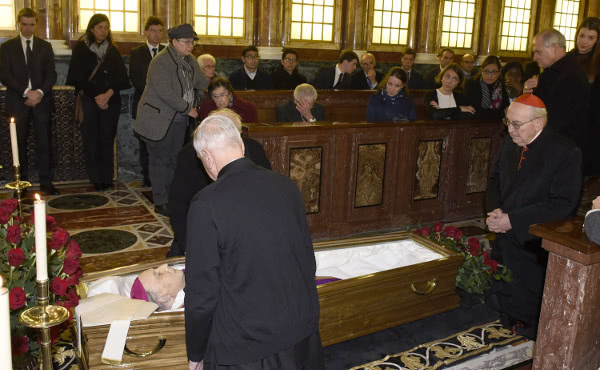 Don Julián Carrón and all of Communion and Liberation share the pain of the great family of Opus Dei for the passage to heaven of the beloved Bishop Javier Echevarría. Grateful for his witness of a life united to Christ, fully identified with Him and spent in carrying out the work of God in the world, we ask Saint Josemaria and Don Giussani to intercede before our Lady of Guadalupe so that his life may reach its fulfillment in the embrace of Mercy, and so he may continue to accompany those for whom he was their father in the faith, called to be like him bearers of mercy following the path marked out by Pope Francis, whom Bishop Echevarría loved so much. I have known the Prelate for many years and treasure that friendship. May he now rest in peace with the Lord he loved and served so well. My condolences go hand in hand with recognition and gratitude for the affection that Don Javier always expressed to this city and its people, on the many occasions he visited us. The Hebrew Community of Rome joins in expressing condolences for the death of Bishop Javier Echevarría. 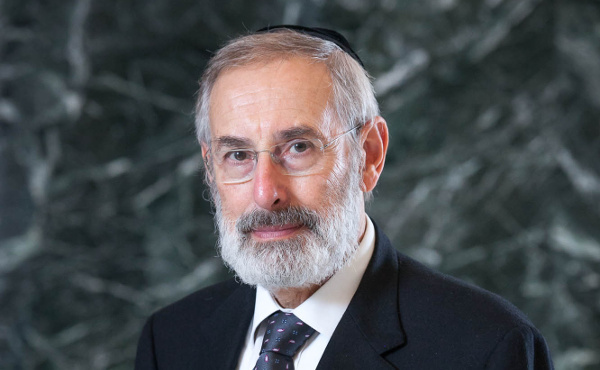 Chief Rabbi Riccardo Di Segni and Community President Ruth Dureghello send their deepest condolences to Opus Dei for this sad loss. May his work be remembered by doing good. Blessed be his memory. I thank the Lord for the example of the Father, and express all my pain and my condolences. His name will be engraved in the memory of the Church and of posterity as a great architect of peace and good works in favor of the family, the marginalized and the disadvantaged. He was a man with a good heart and much wisdom. He always welcomed us with warmth and friendship at the center of Opus Dei, and we were happy to welcome him to our home. On receiving, with great sadness, the news of the death of Bishop Javier Echevarría, I send my most sincere condolences, which I wish to extend to his relatives and members of the Prelature. In these difficult moments, together with the Queen, we raise up our prayers for the eternal rest of his soul. He was one of those people capable of “sneaking” into the lives of others to stay in the recesses of their heart. He showed me his friendship more than anything. With the kinds of details that only true friends have and that one never forgets. Like that Mass he wanted to celebrate on his own initiative, after the death of my beloved Esther, and whose long and heartfelt homily was dedicated to her, with words that carried weight, depth and comfort that will accompany me for the rest of my life. Only he and I, in that Roman crypt where his remains now rest, next to two friends. Nobody else. I thank God for the saints who have led the prelature of Opus Dei. I have had the joy and honor to converse with Don Javier for years. I will always remember his accompaniment and the words with which he encouraged me to lead my Servant Sisters of Jesus to God. I am sure that he will continue being close to us and intercede for all before God, and watch over, together with Saint Josemaría and Don Alvaro, all his sons and daughters in the Work, while fostering its evangelizing expansion as a leaven for a better world. He has preceded us and we know that our prayers will be a “return trip ticket,” for Bishop Javier Echevarría will intercede in heaven for all those who personally or through the members of Opus Dei have known him and been nourished by your teachings. With great sadness I received news of the death of our beloved Don Javier, although, as when John Paul II left us, I am sure Bishop Echevarría “has gone to the Father’s House.” I had a sincere and filial affection for the Prelate, and I can only say to the great Opus Dei family that I share their pain, even though we know we now have him in heaven. We remember with sincere thanks our encounters with Bishop Echevarría, including his participation in the Rimini Meeting in 2014. We join in the pain and prayer of those who have had him as a father and guide. We are grateful to have been able to know and listen to him; we have been edified and encouraged by his strong missionary zeal and his fatherly and welcoming cordiality. We wish to convey to all the members of the prelature our sentiments of pain and sorrow. May the Virgin Mary accompany him to the Kingdom reserved for those who have been faithful to the mission entrusted to them by God. Bishop Javier Echevarría is already in the place he longed for, for himself and all his children. He trusted in the prayers of the nuns and, as one would do for one’s father, we pray more intensely that he may enjoy the glory already possessed by Saint Josemaría and Blessed Alvaro. We pray for all the members of the Work so that this blow – still hard to accept although he has left behind the peace of his holy life – may be a spur for fidelity, for inner renewal, for greater union with God. We treasure the pleasant memory of his visit. 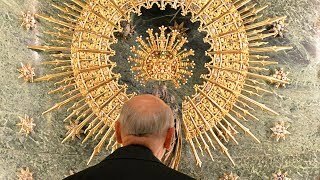 I unite myself to the pain of the whole family of Opus Dei for the loss of Bishop Javier Echevarría. I pray for his eternal rest. May the Lord grant him the prize reserved for good shepherds in his Church. We have a very important presence of Opus Dei in the Archdiocese of Boston, where they do such important work, particularly with university students, as well as at Montrose School and their retreat house in Pembroke, Arnold Hall. So, I wanted to be there to express my condolences and to assure them of my prayers during this time of transition. I thank God for these years of work and service to the Church that Bishop Echevarría has offered through the Work, as well as for his friendship and closeness, which he showed me in visits he made to the dioceses where I have been, and in various encounters with him. In the name of the archdiocese of Madrid, to all those who are part of Opus Dei, I offer my prayer for the eternal rest of the Prelate. And with all of you, we give thanks for what Don Javier, with his intense, serene, discrete and firm work, has offered to the Church. In the name of the whole Congregation, I wish to express my sentiments of condolence, assuring prayers of suffrage for this beloved bishop as we remember with gratitude his faithful service to the Church. This news filled my heart with the assurance that he has faithfully completed a life lived for God and in service to his Church. We join in the pain caused by the death of Bishop Javier Echevarría, so as to remember his example of priestly life and to learn from his loving service to the Church. 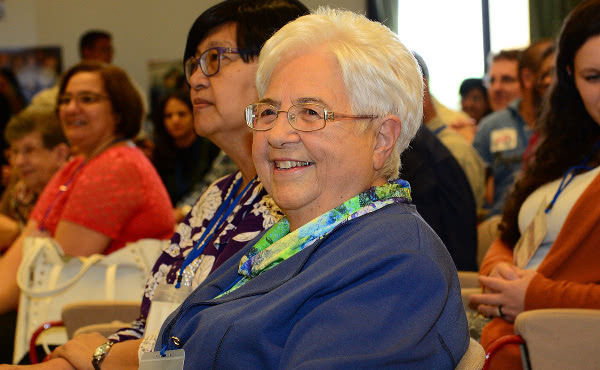 Bishop Echevarría led the Work following the “furrow” left by its founder; he sought new languages to reach the disoriented people of our time, and set forth anew for everyone a path to holiness in the life of the laity. We trust that Divine Mercy has allowed Bishop Echevarría to experience what Saint Josemaría said: “Death is a door that opens to Love, to Love with a capital letter, to happiness, to rest, to joy.” We thank the Lord for so many blessings He has given to the Church through the ministry and service of this good father to the faithful of the Prelature. We want to express our closeness with the passing to eternal life of Bishop Javier Echevarría. We are sure that the evangelical service of this Work will continue growing and its participation in the Church, in benefit of the world, will be ever greater. He made the decision to open a new front for the apostolate and presence of Opus Dei in Slovenia, which is already proving a blessing for our Church and the promise of a future rich in spiritual fruits for our people. I keep in my memory his warm character, his intellectual keenness and his evangelizing zeal. I remember my last meeting with him for the recent consistory of Cardinals, where I was able to witness his pastoral charity with the staff who served us dinner that night, taking an interest in their work and their families. I take part with all my heart in the condolences for the death of the Prelate, Bishop Javier Echevarría, and I join you in praying for him and for the whole prelature. I entrust him to the Risen Lord with a special remembrance in the celebration of the Divine Sacrifice, and I raise up a prayer of intercession to Our Lady of Guadalupe, to Saint Josemaria and to Blessed Alvaro del Portillo. With immense affection from the whole University of Navarra to our beloved Grand Chancellor, who from now on will be helping us from heaven. You can count on our prayers so that God will reward so much service and dedication to the mission of the Church from the Prelature. We were notified of his death: Easter with the Risen One! For you it will be very hard without his presence, kindness and strength, but from the bosom of God he will help you together with Saint Josemaria and Blessed Alvaro del Portillo. We are praying. Together with our Mother Foundress, Mother Mary of Jesus, we thank him for his dedication, affection and prayer. We entrust ourselves to his intercession. Following the footsteps of Saint Josemaría and Blessed Alvaro, he has guided the Work with clear direction, with an intelligent grasp of the signs of the times and with creative prudence. I thank the Lord for the relationship we have had all these years, and through his person, with the whole Work. The Holy Child wanted to welcome to heaven the unforgettable Father Echevarria, to give a deserved reward to this faithful and brave servant. He now contemplates what he gave witness to in his life, with his example and faith. The bishops of Ecuador wish to express our deep regret for such an irreparable loss. We include in our prayers the family of Opus Dei in Ecuador, and especially the auxiliary vicar, Monsignor Fernando Ocáriz, and the vicar general, Monsignor Mariano Fazio. Bishop Javier Echevarría is sure to enjoy eternal rest with Saint Josemaria and Don Alvaro del Portillo. The Catholic Church in Panama wants to express its solidarity in these moments of pain to all the members of the prelature, and to encourage them with the hope of our faith that death is a necessary step for enjoying Eternal Glory. I had the joy and grace to meet him personally at the Synod for the New Evangelization and at a meeting in Rome: a man of God in his gestures, in his words, in his life. His gaze saw right into your heart, purified you, and loved you very much. It was always a joy to talk with him and enjoy his capacity for discernment in confronting problems, and the sharpness of his observations. He has returned to the House of the Father, along with his predecessors Saint Josemaría Escrivá and Blessed Alvaro del Portillo. He leaves behind an edifying example of self-giving to God and to his brothers and sisters.